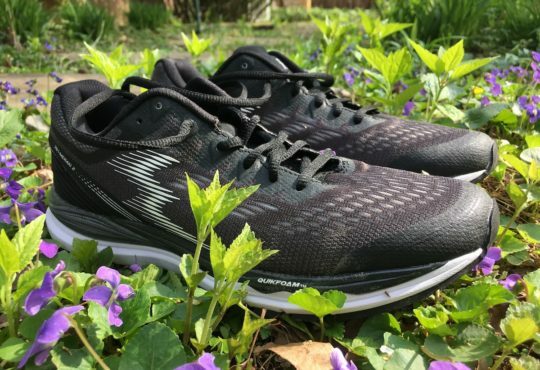 Thomas: The top attributes of the Clifton 5 are the fit of the new engineered mesh upper and the smooth feel of the high stack, high cushioned meta-rocker midsole. The Clifton 5 comes in two widths D, and 2-E wide. I wore the D, and it fits true to size. 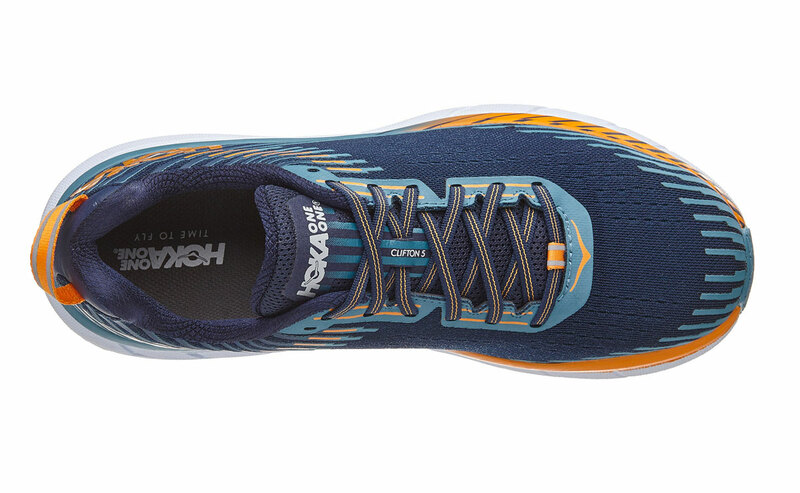 The upper fits better than any Hoka I have tested, zero hot spots or rubbing of any kind. It even looks pretty sleek. I have never said that about a Hoka before. 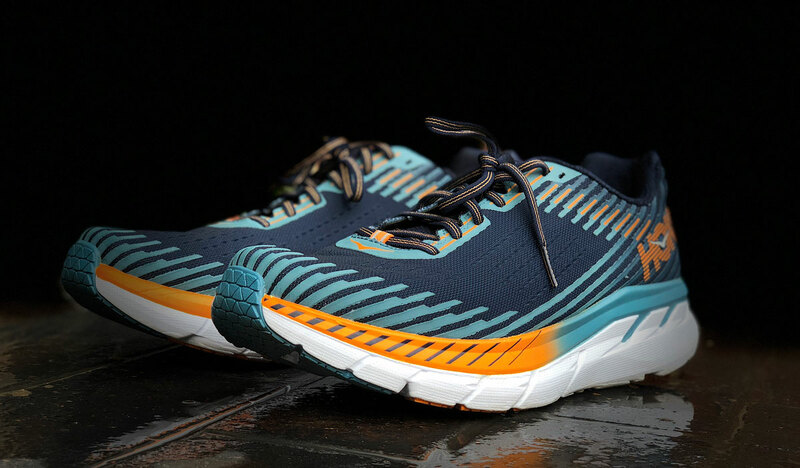 The only thing that changed on the midsole/outsole is that Hoka made the Clifton 5 softer than the 4. 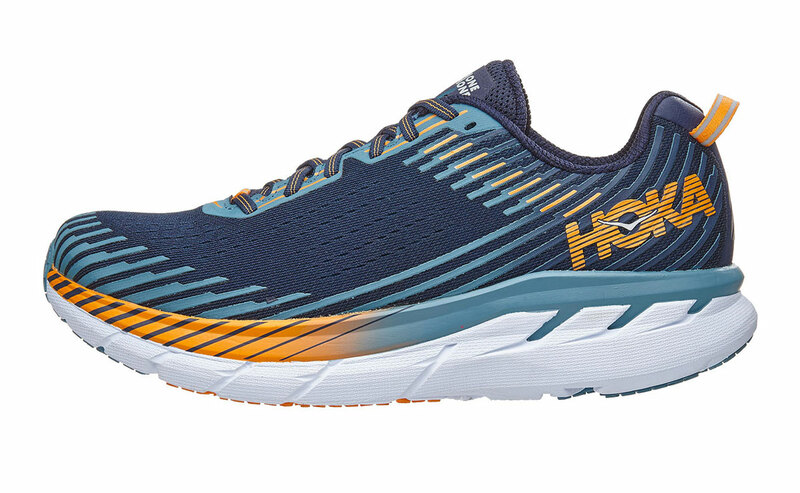 While it is cushioned, it isn’t the marshmallow that Hoka’s marketing suggests. I think that is a good thing. 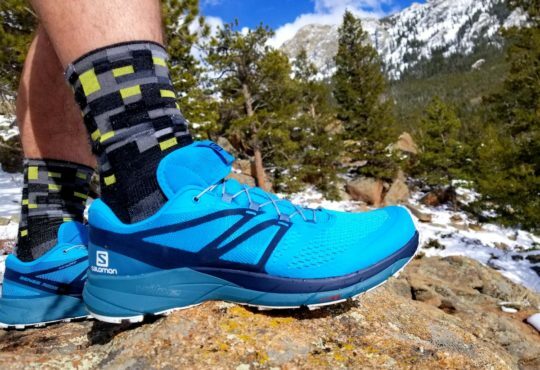 The shoe doesn’t feel dead, it lands soft enough to be easy on the legs but still has enough energy return to keep your feet moving. The flat laces and common padded tongue work well together. 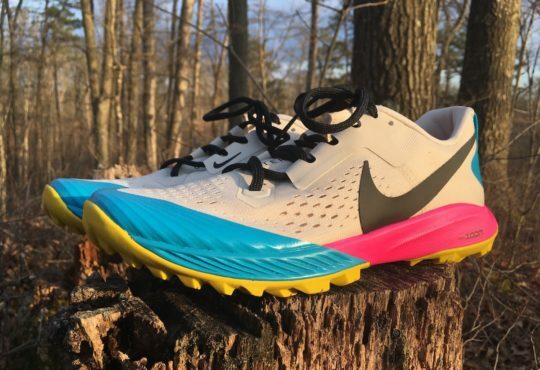 Meaghan: There’s not much to talk about with the HOKA Clifton 5 (if you ran in the Clifton 4). It’s reaaaaal similar to its predecessor, with a restructured top. 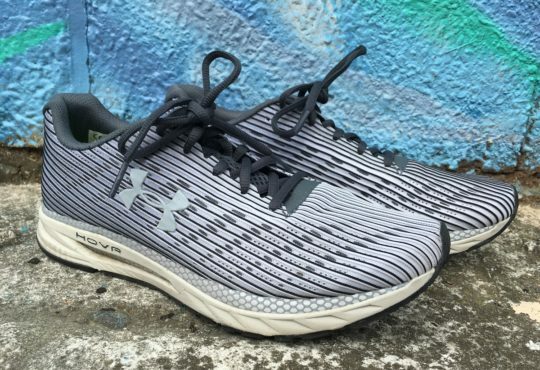 The upper is designed with a new engineered mesh and fewer overlays. There is plenty of room for my wide feet, and they feel relatively breathable in this humid Summer heat. 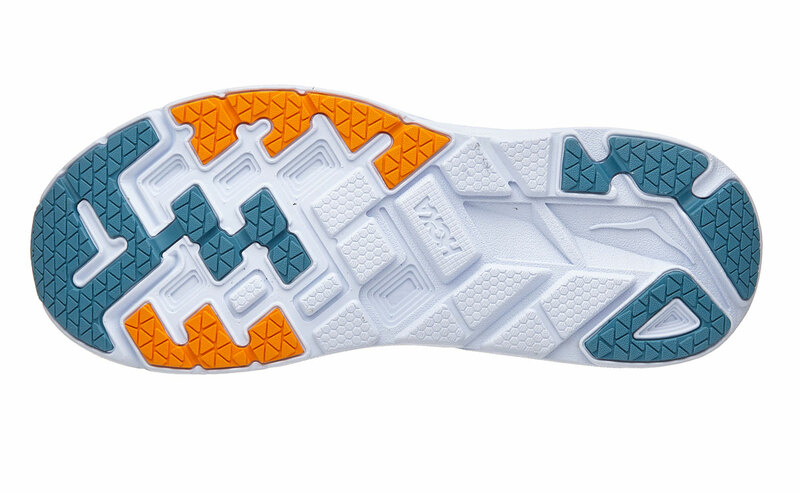 HOKA kept the full-length EVA midsole, but it’s “softer” according to the brand and retailers. I can’t get behind that statement. It feels pretty firm to me. Not overly-firm by any means, I wouldn’t call it squishy. The marshmallow bag advertising is almost as bad as Mizuno’s feather pillow description of the Enigma 5 shoe. Almost. Thomas: The Clifton started out at 8.5 ounces for my size 10.5, but now the Clifton 5 is 10.5 oz, 300 grams. The shoe doesn’t feel that heavy on foot, but the weight has taken a little of the magic out of the Clifton. While the seamless upper looks good and feels nice against the foot, I find the upper to be a smidge warm. Meaghan: As Thomas noted, the shoes continue to gain weight, and I’m not sure why. 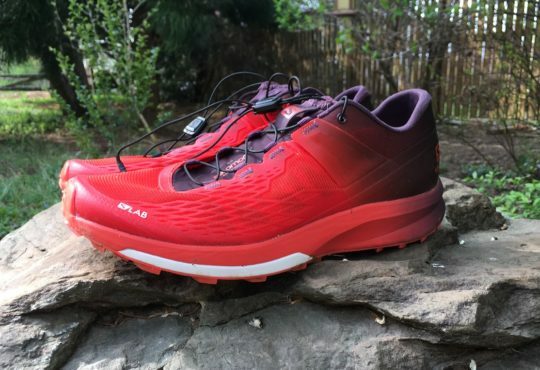 The best thing about the original HOKA Cliftons was the insane stack height and lightweight build. Now the Clifton 5 is heavier than most of my daily trainers. WHY. Thomas: Even with the extra weight, the Clifton 5 is still a trainer I like to run in. Especially when the legs are tired. I tried thinking of the Clifton 5 as an entirely new shoe and avoid comparing it to the first two Clifton models. When I can do that, I enjoy the trainer for what it is, a smooth, cushioned runner that you can stack up miles in. 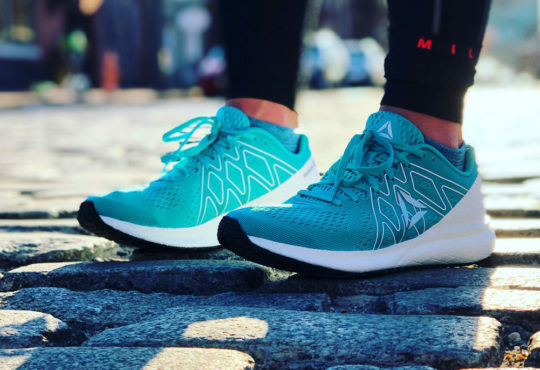 Meaghan: I’m not happy about the weight gain in the Clifton 5, but I still love the shoe. It’s a go-to for everyday, easy runs and I dig the look. The extra height doesn’t hurt, either. I’m a solid 5’5″ in these guys. If you liked the original Clifton, get yourself a pair of Napali. If you’ve enjoyed the Clifton progression, then you’ll probably dig the latest iteration.